Democratic Republic of Congo has confirmed two Ebola deaths in the country’s north-west. They are the first reported Ebola cases outside West Africa since the outbreak there began, although it is not clear if they are directly linked to that outbreak. So far 1,427 people have died from the Ebola virus. The speed and extent of the outbreak has been “unprecedented”, the World Health Organization (WHO) says. There is no known cure but some affected people have recovered after being given an experimental drug, ZMapp. However, supplies are now exhausted. Also on Sunday, a British health worker infected with Ebola in Sierra Leone was flown back to the UK on an RAF jet. It is the first confirmed case of a Briton contracting the virus during the current outbreak. Several people died in the past month after contracting an unidentified fever in the Equateur region of the DR Congo. On Sunday, Health Minister Felix Kabange Numbi said two of eight fever victims had tested positive for Ebola. A quarantine zone would be set up in a 62-mile radius in Boende where the cases had been registered. He said this marked the seventh outbreak in DRC. The virus was first identified here in 1976 near the Ebola River. Felix Kabange Numbi added that further tests were being carried out. On Saturday, Sierra Leone parliament passed a new law making it a criminal offence to hide Ebola patients. 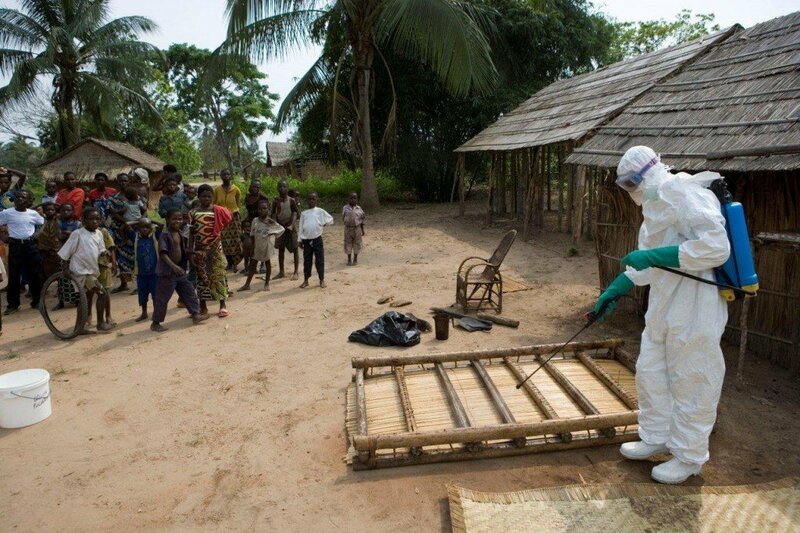 The move came after the Ivory Coast closed its land borders to prevent the spread of Ebola on to its territory. The country has already imposed a ban on flights to and from Sierra Leone, Liberia and Guinea. Gabon, Senegal, Cameroon and South Africa have taken similar measures. The WHO says travel bans do not work, and that what is needed is more doctors and officials to help trace those infected with Ebola, as well as more mobile laboratories. The Ebola virus is spread between humans through direct contact with infected bloodily fluids. It is one of the world’s deadliest diseases, with up to 90% of cases resulting in death.